Interstate licensure of nurses would be a welcome change. Ralph Henderson explains more in a recent article. If you’re a clinical manager at a hospital in New York, and you find the perfect specialty nurse candidate to hire 20 miles away in Connecticut, a roadblock stands in your way at the state line. That nurse may need to provide 50 separate documents in a lengthy bureaucratic process for a license to practice a little way down the road from home. In an extremely tight job market where opportunities are plentiful, it might not be worth the hassle for the nurse. A psychiatrist in Seattle who could help people through telemedicine in underserved areas in other states must first go through the complicated process of obtaining a license in each state, even though professional standards and licensure processes are virtually the same in all important aspects. A physical therapist helping patients overcome chronic pain in Kansas City, Missouri, needs to get an entirely separate state license to help people across the river in Kansas City, Kansas. If you think these scenarios don’t make sense, you’re right. Fortunately, a solution is underway. Unfortunately, it’s moving very slowly. Interstate licensure of nurses, physicians and other healthcare professionals is an idea whose time has come, but it’s moving forward through painstaking state-by-state legislative approval of interstate compacts. The most important reason for interstate licensure is flexibility – for patients, health systems and clinicians. Clinical workforce shortages don’t follow geographic rules. Some rural areas have severe physician or nurse shortages, but others don’t. Some cities have adequate supply of highly-skilled nurses, while others face a crisis. Specialties like OB-GYNs, telemetry nurses, pediatric physical therapists or family nurse practitioners can be sufficient or sparse in different parts of the same region. Healthcare professionals need to be able to go where they are needed – quickly and efficiently. State lines shouldn’t stand in the way of access to care, a good hire, or an important job opportunity. 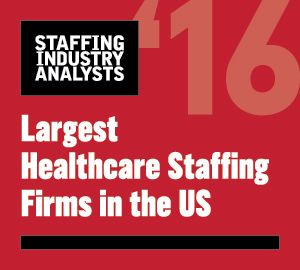 The importance of flexibility in healthcare staffing is exemplified by telemedicine. The immense value of telemedicine to improving patient care is widely acknowledged. Yet, invisible barriers to telemedicine arise at state lines. We need to knock down those barriers. Interstate or national licensure also would be a big help in protecting patients from problem clinicians who might move from state to state to escape their records of misconduct. A national system, where each healthcare professional has only one record, would make it far easier to catch offenders. The interstate compact for nurses is way ahead of other professions. If you qualify for the Nurse Licensure Compact, you can practice in all 31 compact states. It’s the only true multistate license. The physician compact – called the Instate Medical Licensure Compact – includes 24 states so far. However, under the medical licensure compact, applicants must apply separately for multistate privileges and pay for individual licenses in each state. The Physical Therapy Compact is similar. Physical therapists and physical therapist assistants who meet all the requirements in a compact state can purchase compact privileges in other compact states. So far, only six states accept compact privileges, but more than a dozen other states have enacted legislation and will soon issue interstate privileges. A model for an interstate Advanced Practice Nurse Compact has recently gotten underway and will be implemented when ten states have enacted legislation. For all other healthcare professions, licensure is strictly state-by-state. Where is opposition coming from for interstate compacts? Not from healthcare professionals themselves. A 2017 survey of registered nurses by AMN Healthcare found that 68% supported national licensing instead of state-by-state, and among Millennial nurses, 77% supported it. Instead, the resistance to this change is probably just the inertia of bureaucracy. Plus, passing state-by-state legislation on anything is a cumbersome process. There’s no evidence that healthcare professionals in one state are better or worse than healthcare professionals in other states. All patients, whether they are in Florida or Alaska, Hawaii or Maine, deserve the same quality of healthcare. So, they also deserve the same quality of nurses, doctors and other healthcare professionals who deliver patient care. Interstate compacts – and eventually national licensure for all healthcare professionals –are a key component in efforts to create a more effective and efficient healthcare system for everyone.